Saves trips, keeps bags together and closed. Easier on the hands and arms! HOLDS MORE BAGS THAN YOU CAN LIFT! MADE IN THE USA! 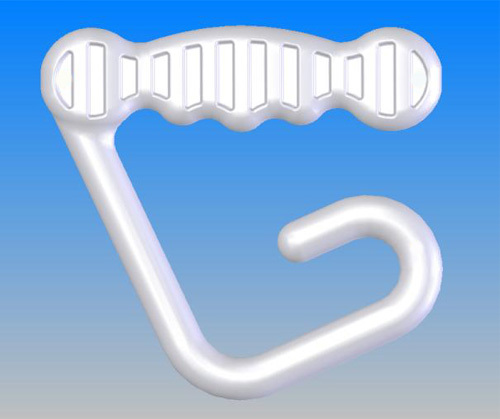 Ergonomic design reduces strain - Comfortable grip - Bags don't cut into your hands! Compact - Fits in pocket or purse, weighs just 2 1/2 oz. No moving parts to fail! - Made in USA - Completely - REALLY! This well-designed handle is both comfortable and convenient. Even though it is very heavy duty, it is very lightweight and compact. 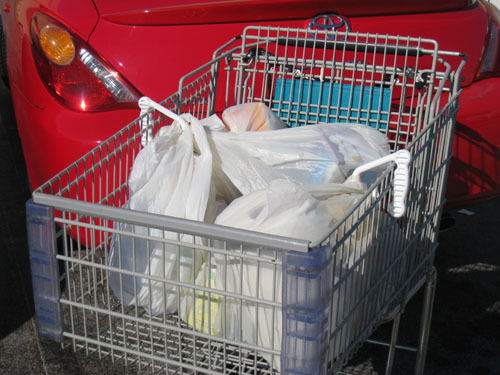 Bags stay together in your vehicle, thanks to the hook on the handle. 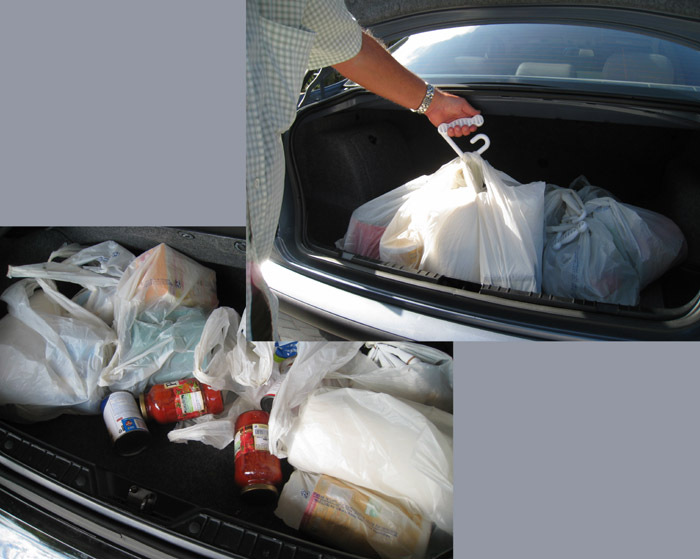 Items don't spill out and roll around in your car. 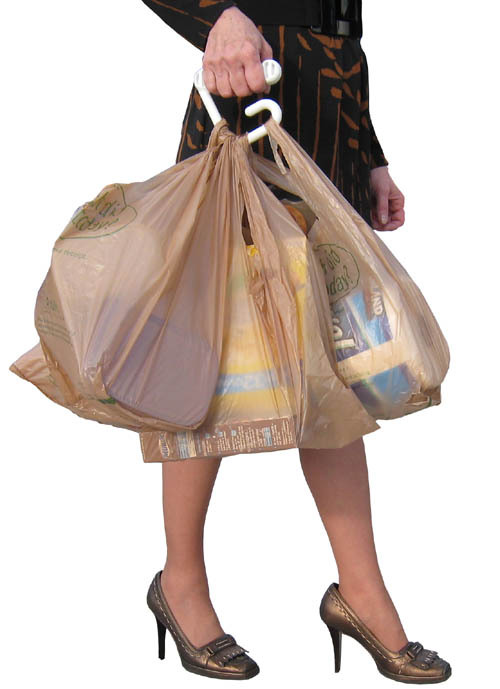 When you get home, you don't have to hunt for the handles of the bags because they're all secured together. Remember when you thought you had all the handles, but you missed one side and something fell out! 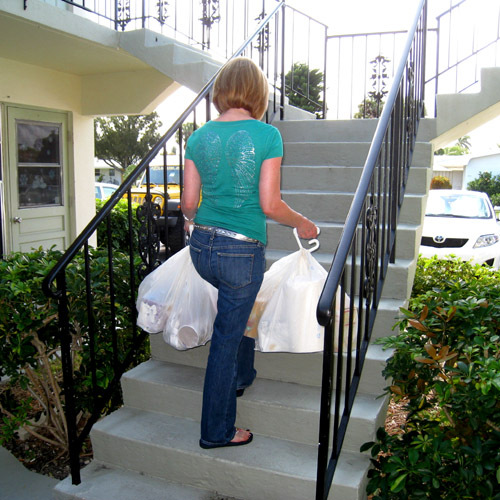 You can pick up and carry as many bags as you can lift. 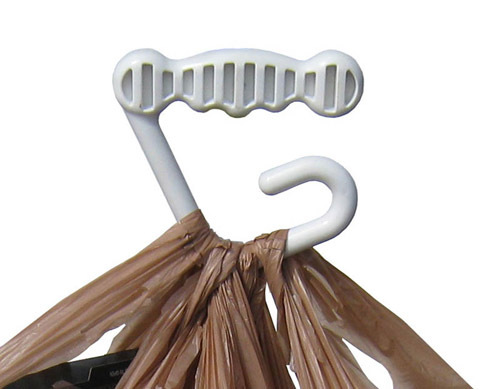 These are a great gift item, especially useful for those who carry groceries up steps. 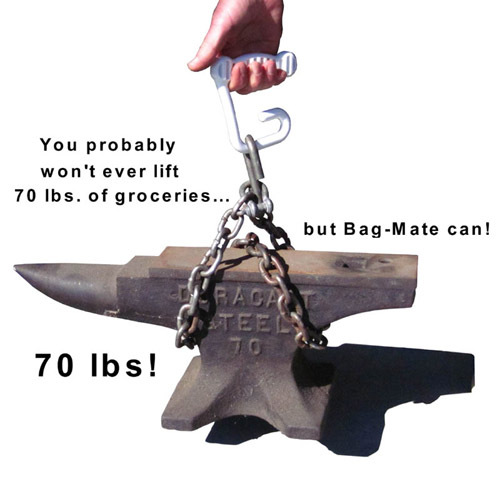 Why is the Bag-Mate better than others? 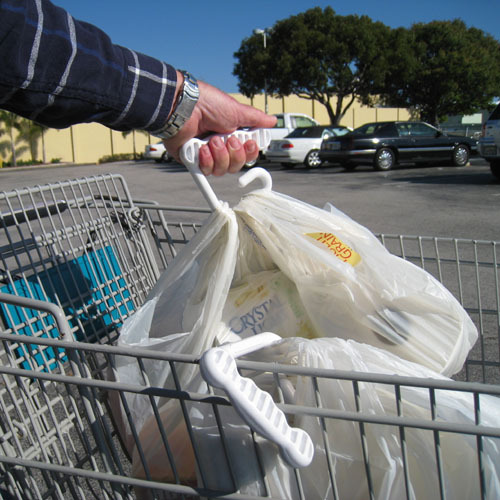 The design allows you to simply slip the bags onto the handle. You don't have to open a "gate" or operate a lever or anything that might eventually break. 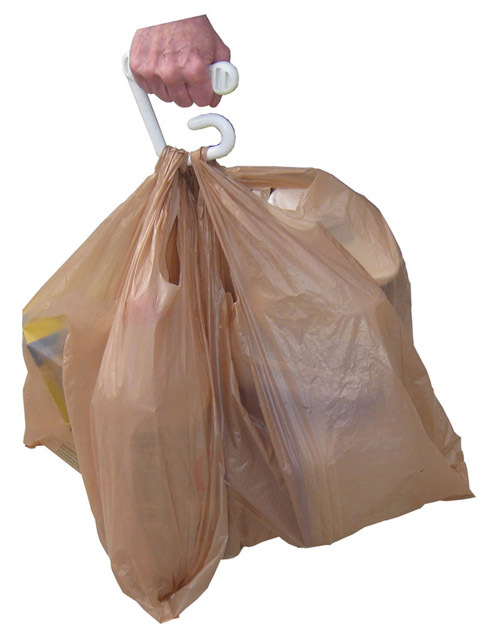 The "hook" design keeps the bags in place until you remove them. The contoured handle is very comfortable in your hand. This is positively the best handle you will find. Direct from the manufacturer - Proudly made in the USA! Entirely! Completely! Really! Satisfaction guaranteed, or your money cheerfully refunded!